There will be two debuts at the Cony High School gymnasium tonight when the boys basketball team hosts Brunswick in its season opener. T.J. Maines takes over the head coaching job for the Rams after spending the past seven seasons as Thomas College men’s coach. And he’ll have his team playing a similar uptempo style he employed at Thomas. “It’s going to be a team that’s going to pressure the ball and go, go, go,” Maines said. The Rams weren’t picked among the top eight teams in the Kennebec Valley Athletic Conference poll while Brunswick was selected fifth. Maines hopes to use 11 players in an effort to wear the Dragons down. He’ll also have senior Ben Lucas on the bench tonight after he recently joined the team, but the 6-foot-4 center is not expected to play. Also making coaching debuts are Cony girls coach Ted Rioux and Winthrop girls coach Joe Burnham. Rioux’s team travels to Brunswick while Winthrop plays at Dirigo. 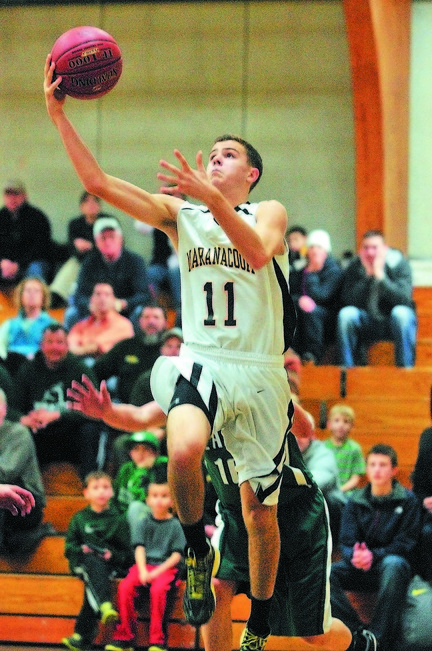 Two of the better matchups tonight involve the Gardiner and Maranacook boys and girls. The girls teams meet in Readfield after coming off successful preseasons in which Maranacook beat Oak Hill and Oxford Hills and Gardiner knocked off Cony and Camden Hills. Last season, Maranacook dropped a pair of close decisions to the Tigers. The Blacks Bears are led by junior Christine Miller, who averaged 21 points and 11 rebounds a game last season, while senior Ally Day leads the Tigers. Paradis plans to have her team press and run the entire game and expects more of the same from Gardiner. Gardiner boys coach Jason Cassidy believes his team has improved a lot in the preseason and has a couple of go-to players in Seth McFarland and Brad Weston. He expects an uptempo game from the Black Bears who have some good outside shooters led by Taylor Wilbur, Caleb Jackson and Kent Mohlar. In other basketball action tonight, the Richmond boys and girls host Rangeley, the Winthrop boys play Dirigo, Erskine drops to Class B and meets Mt. View, the Hall-Dale girls travel to Telstar, the Monmouth girls play at Oak Hill and Messalonskee boys and girls face Mt. Ararat. The Cony, Gardiner and Erskine swim teams are all in action today while local hockey and wrestling teams swing into action on Saturday.